It’s hard to forget the images of giant waves leveling the coast of Japan, sweeping up buildings and cars and leaving nothing but debris in their wake. Over two years after the 2011 tsunami and resulting nuclear crisis, the world has largely turned away from the survivors and their efforts to rebuild. STORIES FROM TOHOKU urges us not to forget. The documentary gives a voice to the survivors — many still living in temporary housing, struggling to make ends meet — while skillfully interweaving their stories with those of Japanese American leaders continuing to raise money and organizing trips to the region. The endurance and frustration of the survivors and the hope inspired by their visitors are explored in this complex portrait. Uplifting footage of the first foreign delegation, led by Olympic gold medalist Kristi Yamaguchi, to visit this trans-Pacific community is also shown. STORIES is a heartfelt, inspiring testament to the traditional Japanese value of gaman (perseverance). 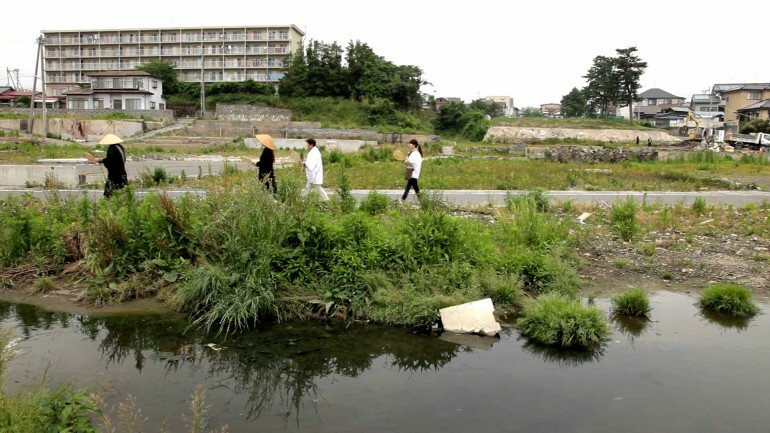 At the same time, it acknowledges the many challenges that still face the residents of Tohoku.